February futures for Brent and WTI crude trade at about $48 a barrel on Thursday reversing a sharp jump to almost $52 during the day. 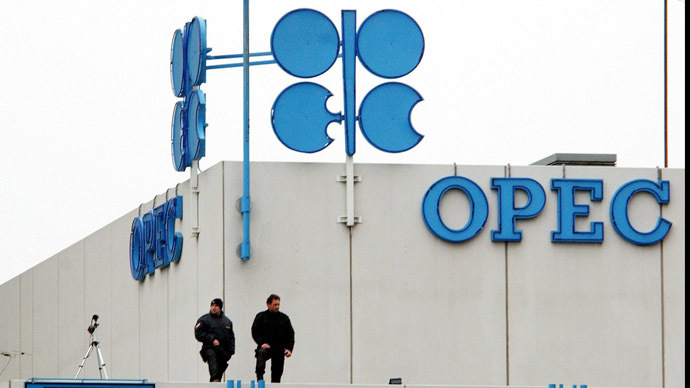 The increase came as OPEC revised upwards its global oil demand forecast for the year. “In 2015, world oil demand is anticipated to rise by 1.15 million barrels a day, following an upward revision of 30 million barrels a day, due to expectations of higher oil requirements in OECD America and other parts of Asia,” OPEC said in its monthly report Thursday. Supply from non-OPEC countries is expected to grow slower than previously expected, by 1.28 million barrels a day, the report said. “The main factors for the lower growth prediction in 2015 are lower oil price expectations, the declining number of active rigs in North America, the decrease in drilling permits in the US and the reduction in international oil companies’ 2015 spending plans,” OPEC said. Oil production in Russia remains uncertain due to the “impact of sanctions, low prices and no large projects expected to come online,” OPEC added. Russia's oil production in the first quarter will be about 10.62 million barrels a day, 10.58 million barrels a day in the second quarter, 10.54 million barrels in the third quarter, and 10.52 million in the fourth. In the US, oil production will slow down, as “the steep drop in global oil prices could endanger the marginal barrel’s output from unconventional sources (i.e. tight crude and unconventional NGLs), as well as the oil extracted from ‘stripper wells’,” OPEC said in its report. “While lower oil prices could serve as an additional supportive factor for global economic growth, the negative effects for oil producing countries will weigh down the balance,” the report said.